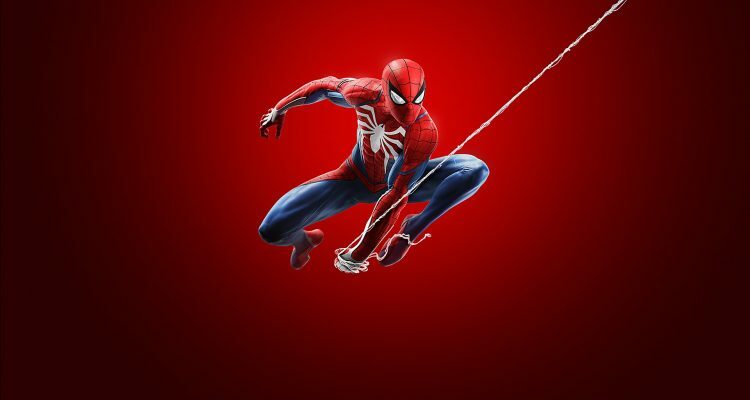 Marvel’s Spider-Man Review – Eggplante! Over the years, superheroes and video games have combined many times. They’ve done so through spin-offs and separately created experiences, but have also been partners in a lot of movie tie-ins. 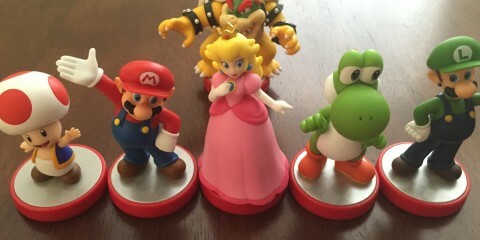 While licensed games have often gotten a bad rap for being rushed and of poor quality, that isn’t always the case, especially when they’ve been developed without any interference from movie producers and their employed marketing teams. The Caped Crusader’s Arkham games are a prime example of this. Although it’s hard to say who’s appeared in more games over the years, it’s pretty safe to assume that Batman and Spider-Man top the list. Marvel’s (generally) teenaged human arachnid is, after all, an almost perfect character for such interactive experiences, given his unique abilities. He’s also multifaceted, and has appeared in good 2D games, as well as some really good 3D and open world ones throughout the decades. Spider-Man 2 is often considered to be the pinnacle of the character’s interactive exploits, but quite a few other titles deserve to be mentioned, including Maximum Carnage, Ultimate Spider-Man and Spider-Man: Shattered Dimensions. 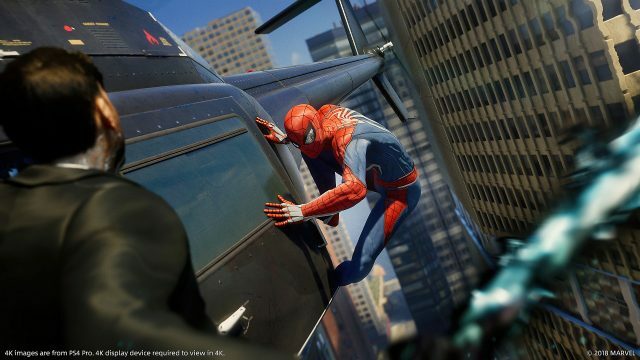 After a long wait, Peter Parker and his webbed alter-ego have returned to consoles with what is easily his most anticipated and talked about outing in years, if not ever. That is, Insomniac Games’ Marvel’s Spider-Man, which comes bearing hefty expectations given its developer’s impressive pedigree. 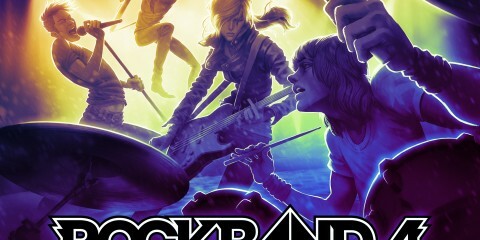 After all, we’re talking about a studio that was responsible for Ratchet and Clank, Resistance and Sunset Overdrive, the latter of which doesn’t get nearly enough recognition. 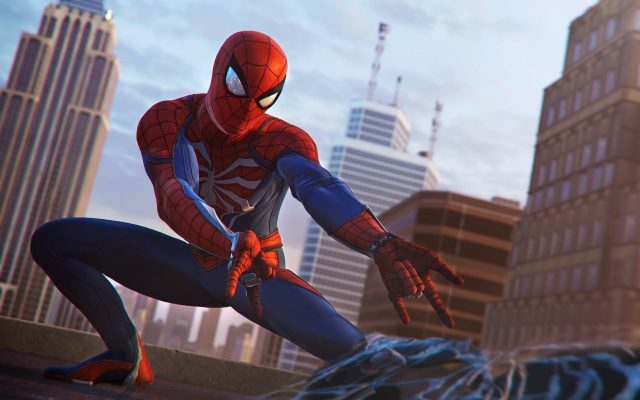 Thanks to publisher Sony Interactive Entertainment, Insomniac was given the time and resources to create its own version of a good Spider-Man game, and they’ve thankfully succeeded. The result is something special, which stands as one of the best superhero video games ever made, and is easily the best one since Batman: Arkham City. It also happens to be one of the PlayStation 4’s greatest exclusives to date, along with one of its best-looking titles. Thus, the wait and anticipation were all worth it. Marvel’s Spider-Man begins with our favourite, webswinging hero attempting to take down the Kingpin, and it quickly becomes evident that we’re not dealing with an origins story here. No, Peter is apparently 23 years old, or thereabouts, and has left The Daily Bugle for laboratory research and prosthetic development. There, he works side-by-side with Doctor Octavious, attempting to create artificial limbs that will forever change their respective industry. His Aunt May, on the other hand, is employed with a local homeless shelter/assistive organization called F.A.S.T. and acts as its second in command. This single, and financially strapped version of Peter Parker is attempting to make a go on his own. Thus, you won’t see him head back to his childhood bedroom at Aunt May’s house. We quickly learn, however, that things aren’t going particularly well with this venture, thanks to one or two final notice letters that appear under our protagonist’s door. It seems that working with Dr. Octavious isn’t paying well, and it isn’t long before things get even worse in that regard. As mentioned, the plot begins with Fisk, and it’s that massive criminal overlord who remains front of mind for a lot of the game. Although other prominent bad guys appear, in addition to some impressively obscure ones, Fisk’s hold on the city and its crime rings plays a big role within this narrative. The same is true of a group who wishes to take his place, that being the Demons. An Asian gang, they have their own agenda and are unafraid of destroying New York and murdering many of its innocent inhabitants to get to where they want to be. 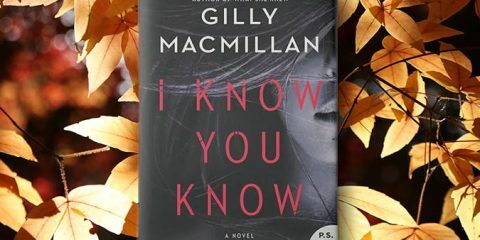 For the most part, this is a rather strong storyline, and one that remains interesting. Sure, some parts are better than others and the pacing isn’t always perfect, but those minor problems don’t do much to mar the story. This is also a first (and hopefully not final) attempt, and that makes it even more impressive. The characters are well written, the dialogue is quite strong, there’s a good amount of comical humour and the relationships between major players (like Peter and his aunt, as well as Peter and his ex, MJ) feel believable. That said, one thing that bothered me was how obvious it was that a certain character was up to no good. This ended up making his villainous reveal a lot less impactful than it would’ve been had it not been so obviously telegraphed. There does happen to be a good amount of supervillains, though, and cues have been taken from Arkham City with regards to at least one, who appears after you do some of his challenge missions. Of course, Marvel’s Spider-Man is a fully open world game, which won’t come as any sort of surprise. It gives you a rather large representation of Manhattan to swing and crawl through, and there’s quite a bit to see and do. 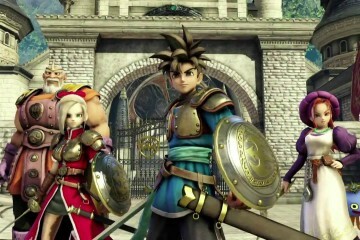 This includes a large assortment of varied story missions, some of which are more cutscenes than they are typical, objective-based missions. In addition to those, you’ll occasionally see markers for mostly standalone side quests, which unlock as the player progresses through the campaign. Not all of these are standalone, however, because some happen to tie into a specific bad guy. Some of the others are relatively creative, though, and will have you doing things like dealing with imitators, becoming Internet famous and chasing flash drive stealing pigeons. Hell, one guy will even ask you to find all of his missing pigeons, who then become collectibles of sorts. Some missions even bring other characters into the fold, and have you controlling them. These are few and far between, but they do exist. They’ll usually have you stealthily infiltrating an environment without any type of weapon, tasking you with avoiding enemy sight lines as you creep towards an objective. This may be some strange type of weaponry, an assortment of expensive trinkets and statues, or something else that relates to the story. Those who go for 100% will also find themselves spending lots of time dealing with collectibles, because Insomniac’s latest effort includes a ton of them. 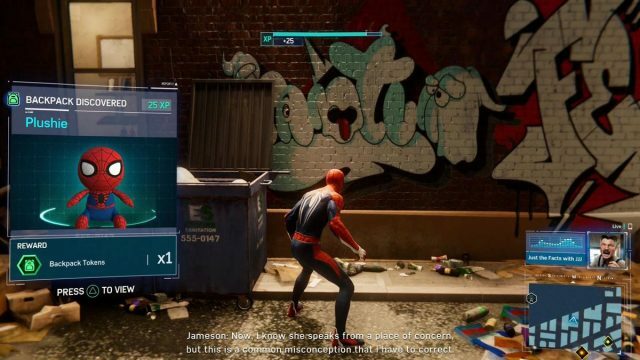 When you’re not chasing after escaped pigeons, you’ll be hunting down (something like) 55 hidden backpacks, activating towers (think of Ubisoft towers and you’ll have an idea), taking pictures of tens of Manhattan’s most famous landmarks, and finding Black Cat’s kitty dolls. Peter’s camera plays a part in the last two, and is also integral to certain story missions. 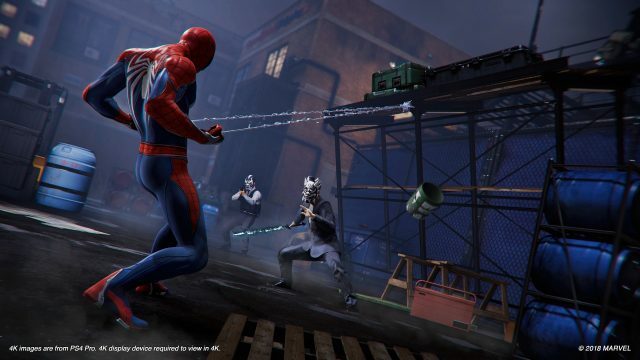 In addition to those collectibles, and the aforementioned set of true side quests, Marvel’s Spider-Man features challenge missions, combat encounters and research stations. First up are the challenges I alluded to above, which have you chasing drones, destroying bombs, fighting waves of enemies and acting stealthily, all while being scored and evaluated. They’re fun diversions, but nothing special, and the same is true of the combat encounters that take place at Fisk construction sites and Demon hideouts. There, you’ll also face wave after wave of baddies, all of whom encompass different types. There are the regular grunts, those with shields, the typical heavies and ones with weapons including guns, rocket launchers, electrical batons and more. The research stations, on the other hand, are tasks that are given to Peter by his friend Harry, who’s away in Europe. Situated atop certain high rise buildings, they’re little Oscorp-funded huts that almost all have different purposes. Combined, they’re supposed to protect New York from industry, pollution and more. One or two of the aforementioned stations will have you swinging through aerial pollution in order to collect and analyze samples, while others will task you with opening vents to prevent apartment buildings from blowing up due to immense pressure, spraying bird colonies with an antidote or doing the same to fish. Others involve finding and taking pictures of pollution-heavy cars, disabling defective armed drones and throwing electrical webbing at malfunctioning Times Square billboards. Needless to say, there’s quite a bit to do within Manhattan, even if a lot of it is collectible heavy (and often repetitive as a result). The side quests obviously stand out most, but the research stations and challenges can be pretty fun at times, and the combat encounters offer some decent competition. 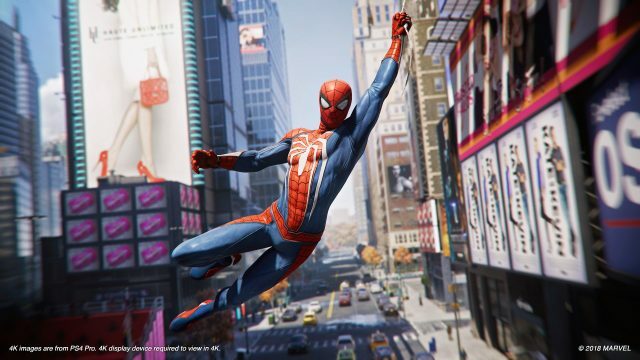 Most of all, it’s just fun to swing around the city, because the webswinging system that Insomniac has so carefully crafted is a fast and fluid treat, with incredible animations. It’s easy to pick up momentum and almost fly through the city, which is an absolute blast, then slow things down and slowly swing from one single web. Of course, this wouldn’t be an open world Spider-Man game without random crimes, of which there are a lot. They’ll pop up quite often, as you swing through the streets, parks and skies of New York. Some involve standard robberies and drug deals, while others will have you chasing down and stopping bandits in getaway vehicles. Later on, the Demons will get up to no good and have crime events of their own, all of which are more advanced and more difficult than the ones that came before them. These generally take the form of shootouts, high speed chases (complete with a guard vehicle and a truck carrying a bomb), and things like that. The crime stuff is fun for a while, but it tends to get pretty repetitive. Things would’ve been better if Insomniac had created one or two more types, and done so with an eye on variety. A lot of the ones that are here tend to feel the same, and are a lot like the randomized crimes found in other Spider-Man games. That’s not to say that they’re bad, or that there’s anything outright wrong with them. They just get stale after a while. Then again, it probably didn’t help that I did a lot of crime ‘missions’ early on, which was also when I focused on finding the majority of the collectibles. There was a major benefit to doing this, though, because completing all of the side content I mentioned above earns you different types of tokens, as does solving circuit puzzles in the lab. 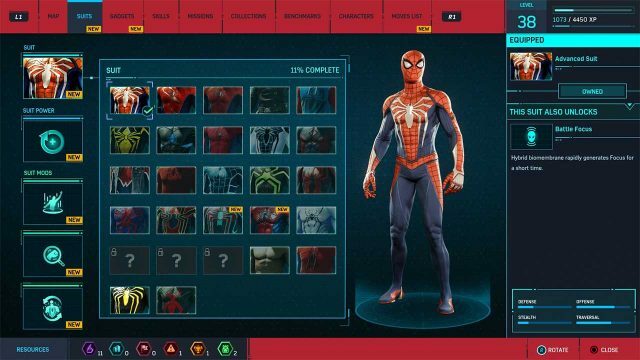 These tokens, which fall under categories like research, challenge, base (combat encounters), crime, backpack and landmark, are then used to upgrade Spider-Man’s gadgets and purchase new costumes, of which there are many. Now that we have all of the structure out of the way, let’s talk about combat, which is certainly one of the highlights of Marvel’s Spider-Man. Then again, it should be. Although this is not an Arkham clone, it does take some cues from Batman’s best outings as far as combat goes. Whereas Peter is a lot more agile, and quite a bit faster than Bruce Wayne, their fighting styles share some similarities. For one, there’s a loud “oomph” noise when an enemy is defeated. Secondly, there’s an indicator that appears over Spidey’s head when an enemy is going to attack. Early on, your main goal is to attack, dodge/evade and then attack some more. You’ll have basic webshooters at your disposal, along with agile punch, kick and swinging attacks. These will serve you well throughout the game, and it won’t be long before you’ll be pressing circle to dodge an enemy’s attack without putting much thought into it at all. It truly does become second nature. Certain enemies require more strategy, though, which is understandable. For instance, heavy enemies need to be webbed up well before they can be hit. Conversely, those carrying shields must be hit, dodged and then attacked from behind after Spider-Man has slid between their feet. Enemies with electrical (or negative, as I should say) weapons will also block, as will those who carry whips. It’s all about reading each situation and acting intelligently according to what you see. This also includes surveying your surroundings to see if there are any crates, manhole covers, car doors or other objects that can be swung and then thrown at bad guys. Webbing is your most vital ally, however, and it can be of great assistance. Shooting web at an enemy can stun or knock them into a wall, door, platform or pole and stick them there, leaving them unable to fight anymore. Stunning them leaves them open to attack, and also keeps them from blocking. After a while, there will be several different types of webbing at one’s disposal, such as impact webbing and electrical webbing. This all ties into gadgets, as well, because Peter can equip web bombs (that explode and then stick onto multiple nearby foes), trip wires that take out one individual baddie, and more. One of the most helpful things, though, happens to be the spider drones that shoot at enemies and keep them occupied while you fight. Granted, a lot of the above can be avoided through stealth. If you’re lucky enough to sneak up on an enemy, you’ll be able to do a quick stealth takedown from behind. Conversely, it’s possible to web enemies up from above, while sitting on an elevated beam or catwalk. Hell, you can even open vents and pull guys through the opening, before webbing them into incapacitation above. As you progress, Peter will also level up and earn skill points that can then be used to purchase new abilities. These new techniques allow him to do things like disarm or throw foes, and can also give him the ability to earn more focus for each attack. Focus, you see, is something that builds up over time and can then be unleashed for a quick takedown on almost any enemy. It’s also how Spider-Man heals, meaning that there’s no such thing as regenerating health during missions or engagements. There are a lot of different skills that can be purchased and learned; so much so that it’d take a while to list them all. The same is true of the hero’s suits, all of which offer a different ability or form of added defense. One might let you gain a full focus meter almost immediately, while another will let you send shockwaves out at enemies. Conversely, the metallic spider legs from Infinity War are also available, as is a perk that prevents enemies from calling for backup when they’ve spotted you. These are just a handful of the powers that come with the many suits that can be unlocked, purchased and worn throughout the game. Overall, the combat flows quickly and fluidly, and employs mechanics that are easy to get a handle on but tough to master. All of the options also combine to keep fights fun, which is good because they’re frequent. On the presentation side of things, Marvel’s Spider-Man is an absolute homerun and is a good example of a top tier video game. 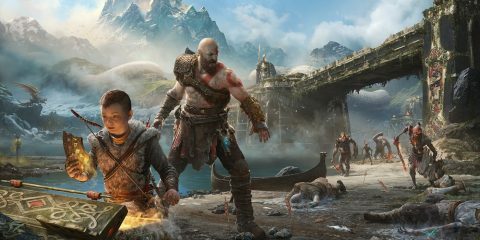 While it may not be the best-looking PS4 game on the market, it’s right up there with the likes of God of War and Detroit: Become Human. Manhattan is stunning, especially during the day, and its indoor and outdoor environments have a staggering amount of detail to them. This is especially true of certain indoor areas, where everything has been so meticulously textured, down to realistic-looking warning labels on appliances. 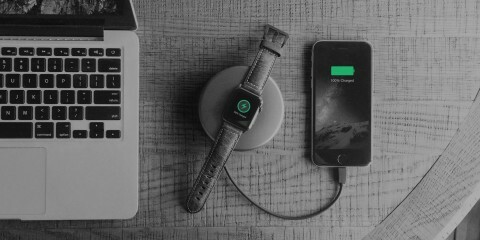 What’s most impressive, though, is how seamlessly things perform with such detailed visuals. I never really experienced slowdown, or had any notable issues. I maybe saw a floating pizza box once, or noticed another visual anomaly, but that’s bound to happen in an open world game and is nothing worth complaining about. The sound is also incredibly top notch. It’s so good, in fact, that I wouldn’t argue with someone if they said that it’s the best sounding game they’ve ever played. Everything has weight and realism to it, and Peter’s costumes can even make different sounds depending on the type of footings they have. Plus, the voice acting is very strong, especially when it comes to the main cast. I guess it goes without saying, after all that, but Marvel’s Spider-Man is certainly worth your time and money. It may get repetitive at times, and may not be as good as Batman: Arkham Asylum or Batman: Arkham City, but it’s close, and is one of the best sandbox action games to have been released since they dropped. Thus, it behooves you to pick it up and give it a shot, provided that you have at least a small amount of interest in Spider-Man, or superheroes in general. 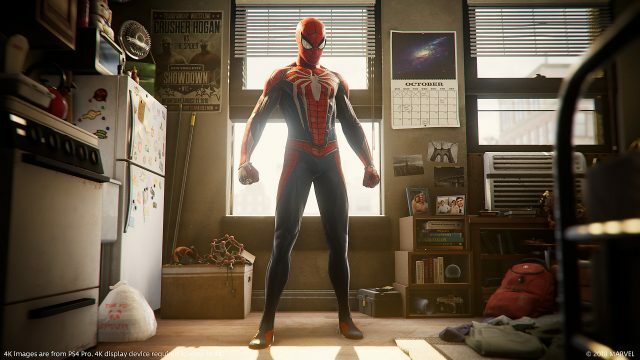 Insomniac has hit a home run with its take on Marvel's Spider-Man, which exists as the best superhero video game since Batman: Arkham City.